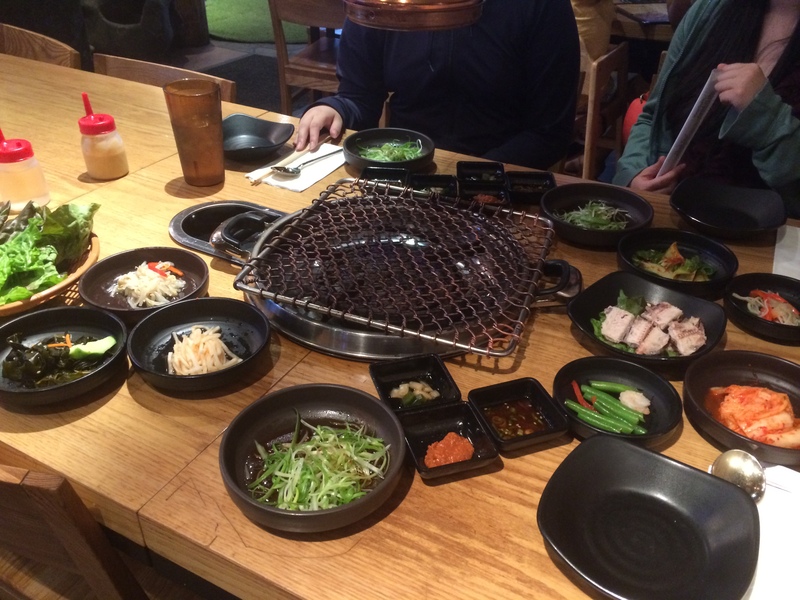 I had a great start to mine by having a Korean bbq dinner last night. The great thing about living in NY is the access to so many diverse types of food within my reach. I had dinner with my dear J & J @ Miss Korea BBQ in midtown Manhattan. They provided us with some banchan. 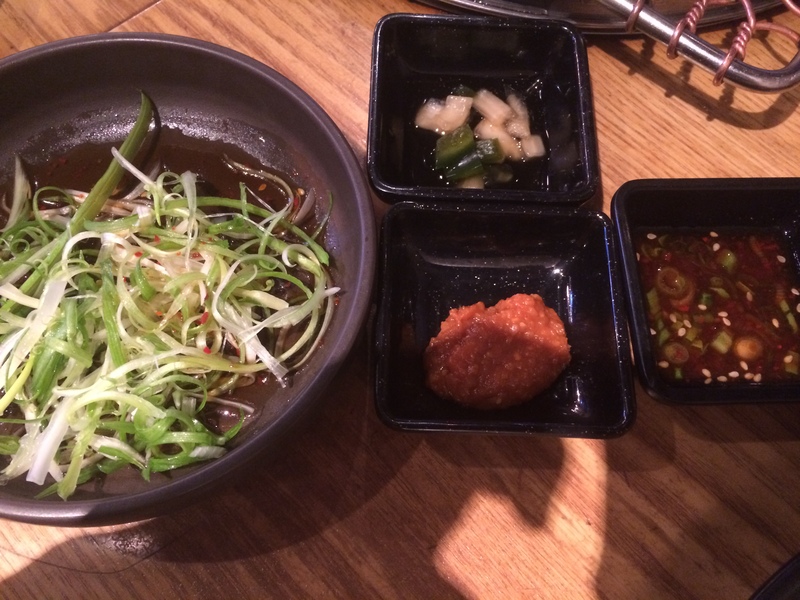 Banchan are small dishes that most Korean restaurants provide, free of charge, before they serve the main meal. It usually includes kimchi and an assortment of other pickled veggies. We were served some kimchi, jellyfish, green beans, pickled radish, beansprouts, and fish. 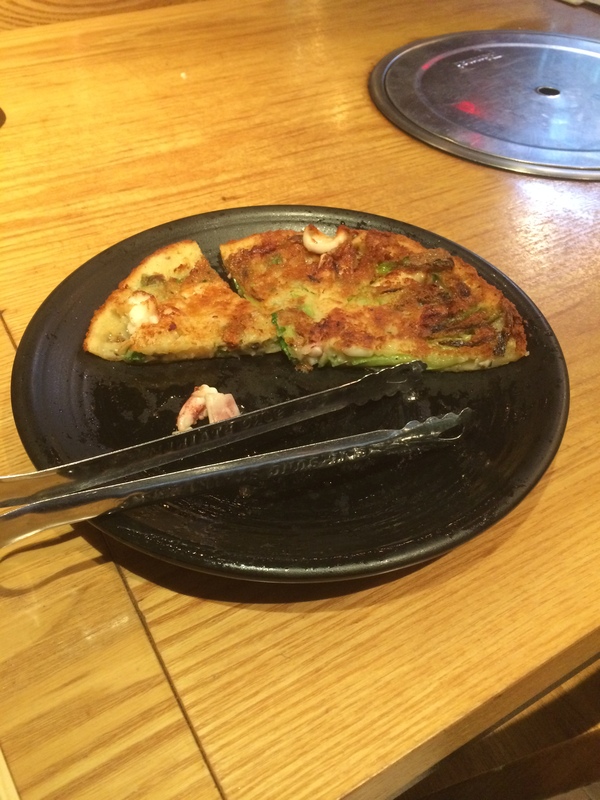 One of my favorite appetizers to get at korean restaurants is the haemool pajeon (seafood pancake) [$17.95 for 9”]. Miss Korea’s version was chock-full of a green onions and a variety of seafood like squid, oyster, clams, and shrimp. It was very flavorful and a good start to the meal. We ordered two types of meat to be barbequed: we had the marinated short-rib [$34.95] and dry aged prime rib eye [$39.95]. I liked the marinated short-rib quite a bit, it was very flavorful. I was not that big of a fan of the prime rib eye. I found it lacking in flavor but that was remedy with the many sauces they provided us (some sort of soy/sesame oil mixture and gochujang, a spicy fermented soybean sauce). 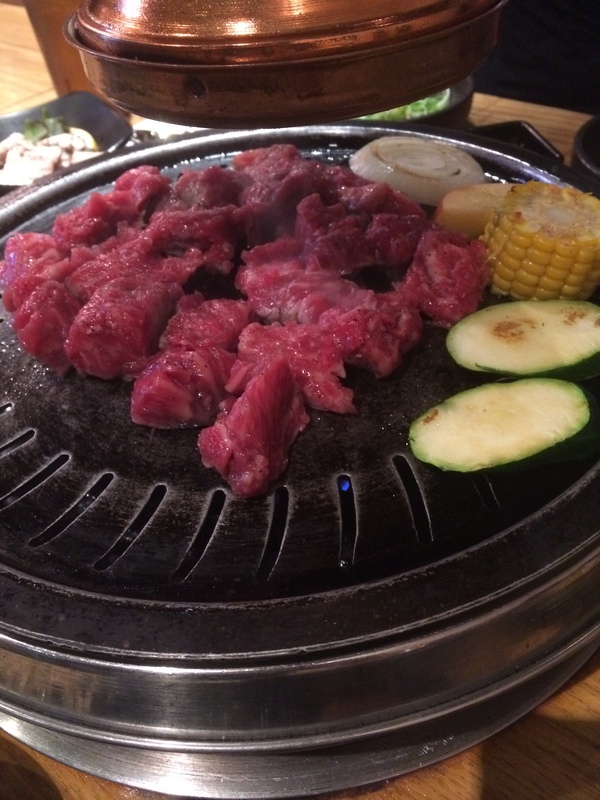 They also cooked (they like to grill it for you; J tried to do it and the lady just took the tongs from him lol) it a touched too long so the meat ended up being slightly tough and hard to chew. Dry aged prime rib, watch out for how long you keep it on the grill..
We also had an order of Topokki (rice cake)[17.95] which came coated in a teriyaki sauce sweeter than we preferred. However, I loved the chewy texture of the rice cake. 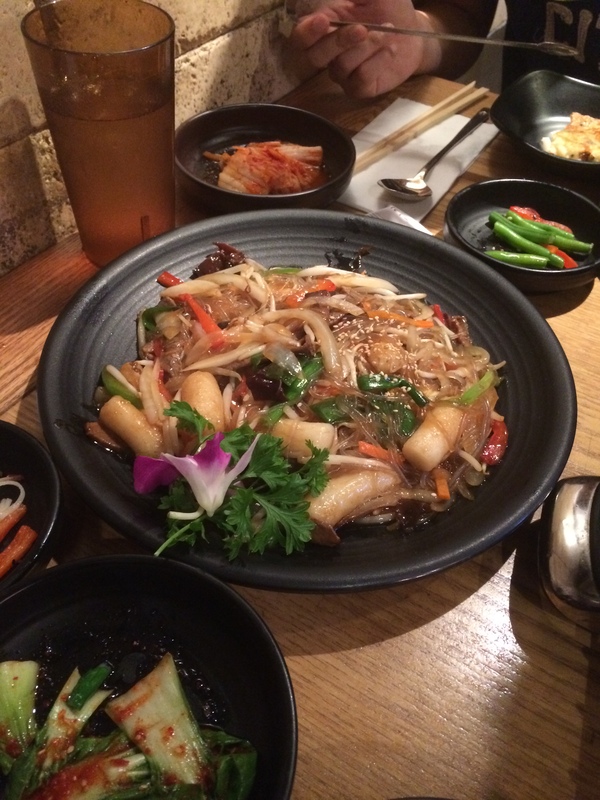 I also liked that it came with a bit of jap chae (glass noodles) and pieces of bulgogi beef. Overall I enjoyed the dinner. I would say that the restaurant is a bit on the pricey side for the bbq if you do not like the meats. But its price point actually matches most of the Korean places in the area. I would like to try more Korean places in Queens, NY as they have a variety of different restaurants each specializing in specific dishes. 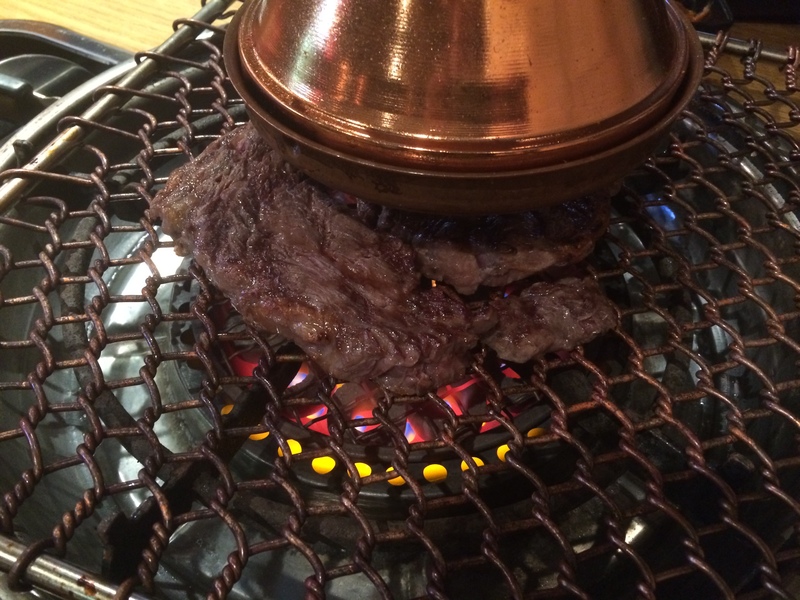 What are some of your favorite Korean dishes and where do you recommend to go for it? Please let me know in the comments. 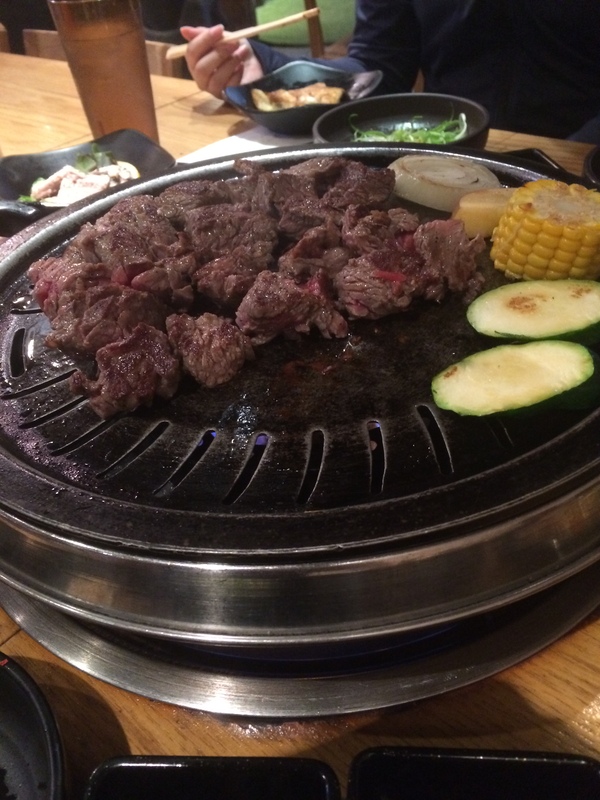 *All photos are courtesy of J.
i love that they provide dishes free of charge when your arrive, that marinated short-rib looks and sounds delicious, looks like they give u a huge variety of korean dishes which is awesome.